Victorian England is a country of sharp divides between rich and poor, but James Lionel Falconer, who spends his days working at his fathera€™s market stall, is determined to become a merchant prince. Even as a child, he is everything a self-made man should be: handsome, ambitious, charming, and brimming with self-confidence. James quickly rises through the ranks, proving himself both hardworking and trustworthy, and catching the eye of Henry Malvern, head of the most prestigious shipping company in London. But when threats against his reputation a€“ and his life - begin to emerge, James will have to prove that he truly is the master of his fate. 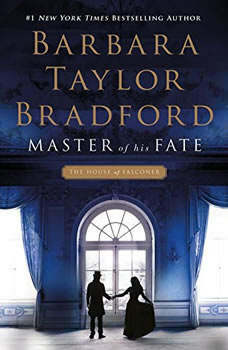 Through scandal and romance, tragedy and triumph, the Falconer and Malvern familya€™s lives intertwine in unexpected ways in this expansive and intricately detailed new audiobook filled with drama, intrigue, and Bradford's trademark cast of compelling characters.